Combine flour, baking powder, sugar and salt. Add eggs, milk and melted butter, and whisk together. 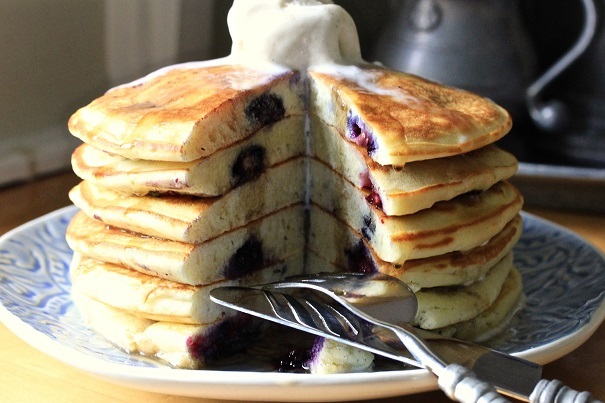 The batter will be a bit lumpy, but don’t overmix because it will make the pancakes tough. Add milk if the batter seems too thick. 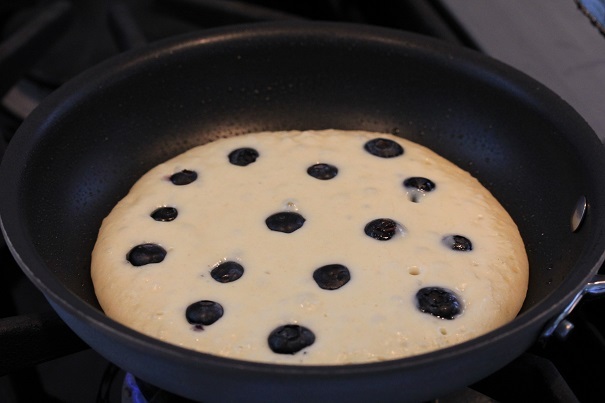 Pour blueberries into batter and mix in gently. Heat a nonstick pan to medium heat and spray with vegetable oil. 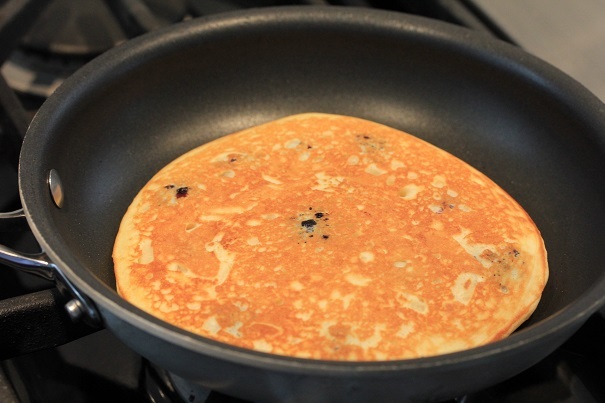 Using a large spoon, drop about ½ cup of batter onto hot pan. Cook until bubbles begin to form in the batter and bottom side turns golden. Flip pancake and cook until also golden. Wipe down the pan between pancakes. Top with a scoop of vanilla ice cream and serve with maple syrup.